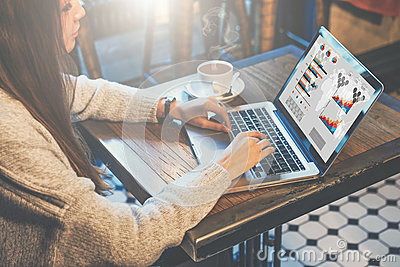 Young business woman sitting at table in coffee shop and typing on laptop. Graphics and diagrams on computer screen. Woman analyzing data. Student learning online. Freelancer working home, blogging.